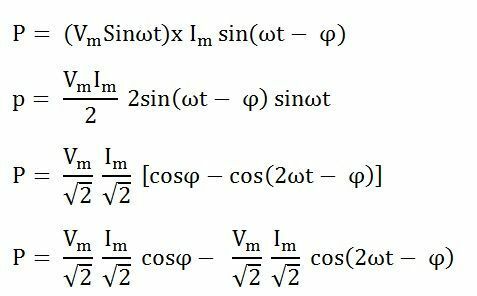 The following steps are given below which are followed to draw the phasor diagram step by step. Current I is taken as a reference. The Voltage drop across the resistance VR = IR is drawn in phase with the current I. The voltage drop across the inductive reactance VL =IXL is drawn ahead of the current I. As the current lags voltage by an angle of 90 degrees in the pure Inductive circuit. 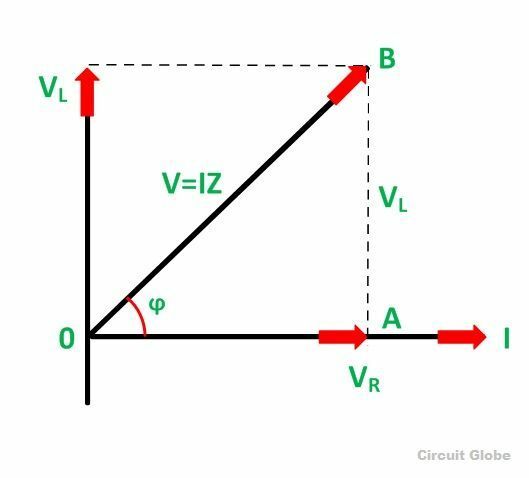 The vector sum of the two voltages drops VR and VL is equal to the applied voltage V.
Z is the total opposition offered to the flow of alternating current by an RL Series circuit and is called impedance of the circuit. It is measured in ohms (Ω). Where cosϕ is called the power factor of the circuit. The power factor is defined as the ratio of resistance to the impedance of an AC Circuit. 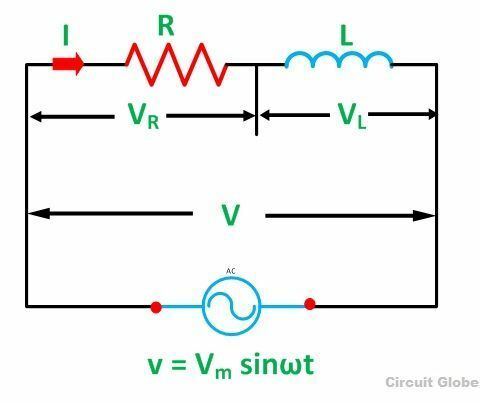 From the equation (5) it can be concluded that the inductor does not consume any power in the circuit. 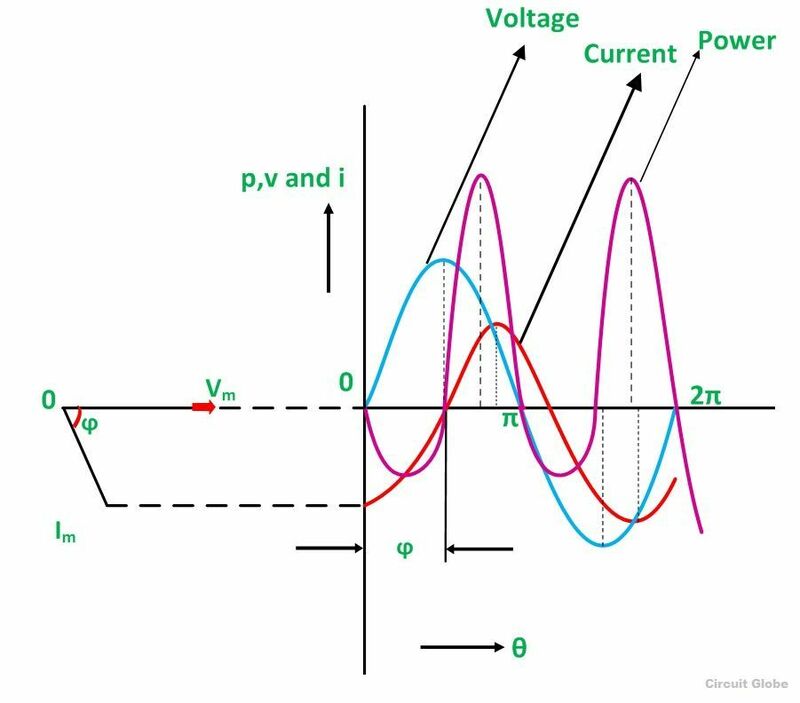 The various points on the power curve are obtained by the product of voltage and current. If you analyze the curve carefully, it is seen that the power is negative between angle 0 and ϕ and between 180 degrees and (180 + ϕ) and during the rest of the cycle the power is positive. The current lags the voltage and thus they are not in phase with each other.